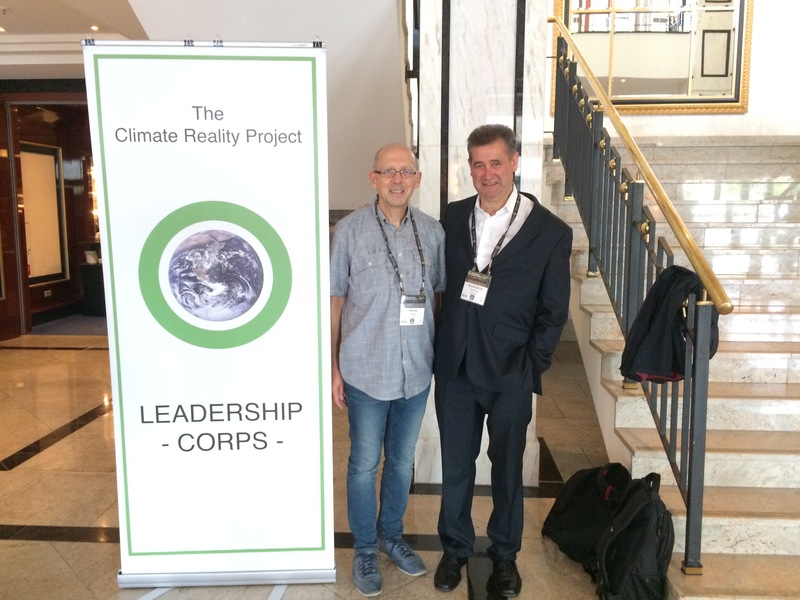 The Climántica Program of the IES Virxe do Mar has taken part in the Summit of Climate Change Leaders which took place in Berlin from June 26 to 28 , accepting the invitation of the Nobel Peace Prize winner, Al Gore. 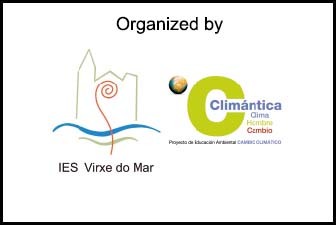 Al Gore’s team selected the Climántica Program, with which the IES Virxe do Mar joined EduCO2cean, to take part in the international summit of climate leaders which was organized in Berlin from June 26 to 28. 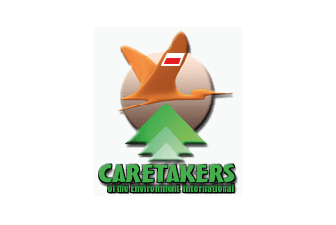 Representatives from the Polish partner Caretakers of the Environment International – Poland were also invited. 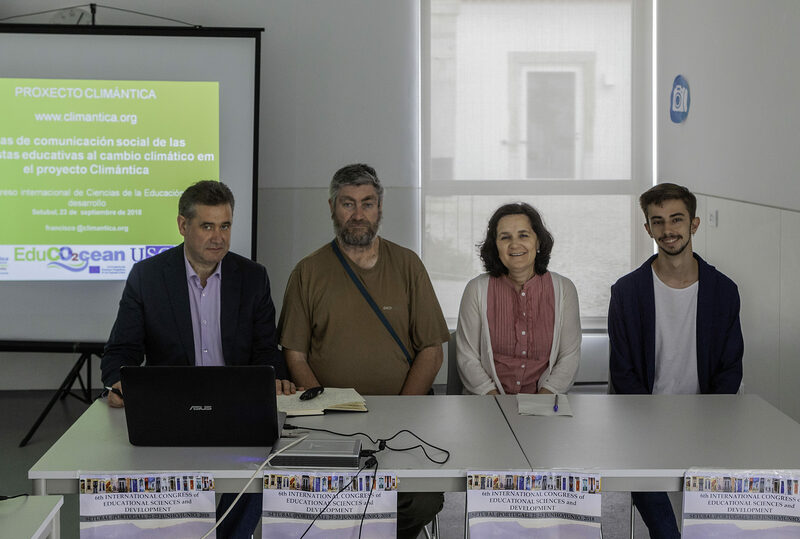 As a consequence of the meeting of both partners, EduCO2cean had the opportunity to carry out synergies to disseminate the project and to share ideas about the possibilities of transferring this dissemination to the COP 24 which will take place in Katowice. 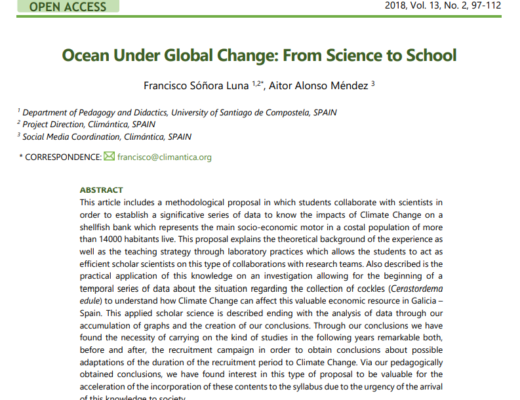 At that summit, the members of EduCO2cean that traveled to Berlin discussed, along with other projects and professionals from different countries in the world, the current situation of climate change, as well as the solutions which are being adopted and those which will be implemented in the future. 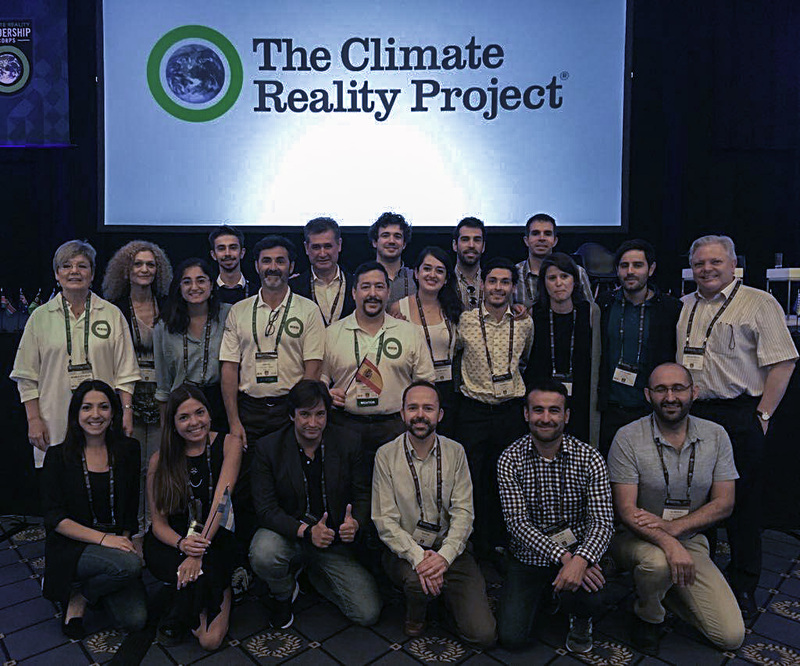 Among the debates in which they participated, those referring to the energy crisis, to climate refugees, and to the just transition to renewable energies stood out. 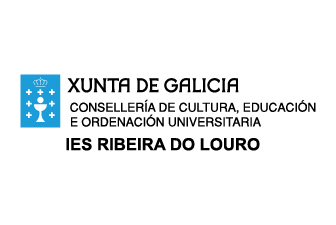 Among the debates in which Climántica’s team members have participated, those referring to the energy crisis, the just transition to renewable energies and climate refuges highlighted, a theme which was addressed in the Musical Tragedy, which was developed within the framework of EduCO2cean. 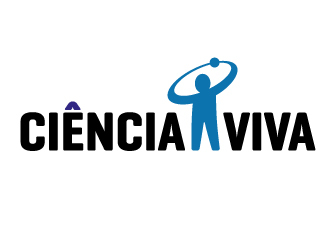 About the first of the topics, the Climántica Project already provides a wide experience from its didactic development related to energy and its relations with climate change. 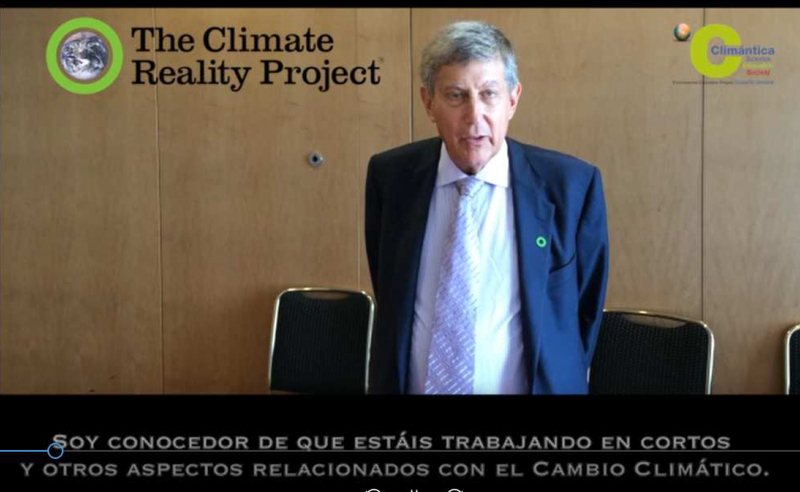 The representatives that IES Virxe do Mar sent as part of the Climántica program and EduCO2cean-Erasmus + were interviewed on Thursday, June 28, coinciding with the closing of the summit, with Ken Berlin, the head of the foundation that supports the Al Gore’s Project. 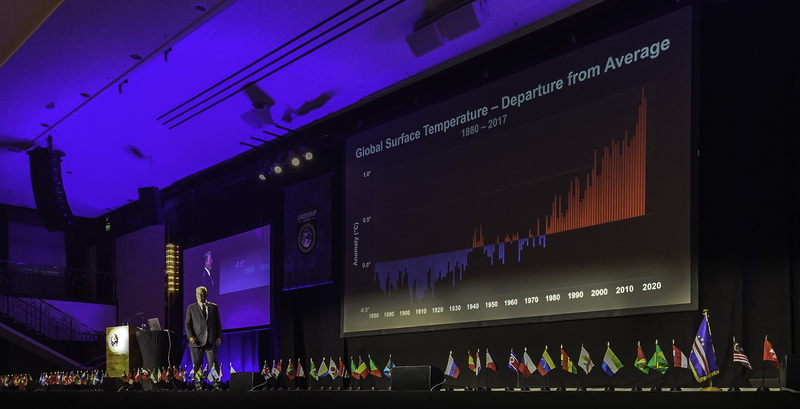 Berlin was the president of the Obama administration’s energy and environment team. 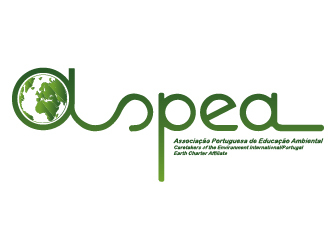 During this interview, Berlin highlighted the importance of the work which is developed during the International Virtual Congress and the Aveiro and Noia Camps to empower young people to act as sensitizing agents on the challenge of climate change. 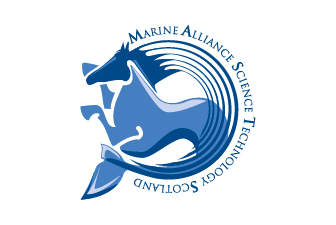 The interview concluded with a clear message of support for the students who are creating these awareness-raising products. 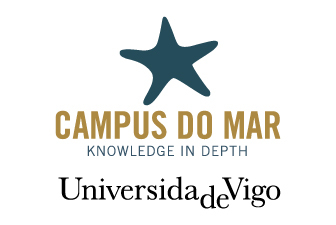 During the previous days, in particular on Saturday, April 23, these representatives of the IES Virxe do Mar developed an invited symposium in the VI International Congress of Educational Sciences and Development, where they explained and disseminated the EduCO2cean youth science initiatives, the international virtual congress, the research teaching seminar- action on the Aveiro and Noia Camps, with special emphasis on the musical, the short films and the explanations of the students to the citizenship about the global change in the ocean through laboratory practices.